More fully automated rotaries are making their way onto U.S. dairies with four more units being installed by the end of 2018. Dairy equipment manufacture GEA reports that by the year’s end there will be a total of six dairy farms in the U.S. milking with the DairyProQ, a fully automated robotic rotary parlor. Two farms in the U.S. are already milking with the robotic rotaries. 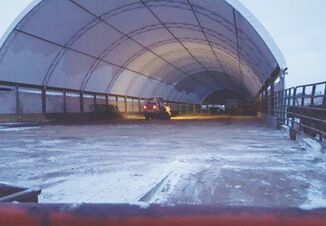 The first farm to install the parlor was Hoffman’s Happy Holsteins near Peshtigo, Wis., milking 550 cows with a 40 stall unit that started operating November 2017. 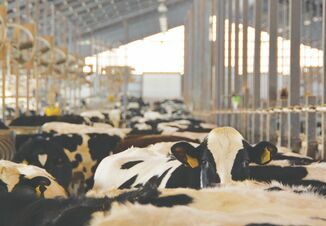 The next dairy to implement DairyProQ was Qual Dairy in Libson, N.D., which has a 60 stall rotary milking 1,500 cows currently and has plans to increase. 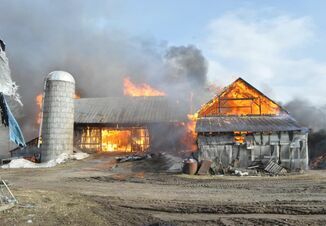 “For dairies of any size, it’s not a matter of if robots will be part of your operation, it’s a matter of when,” Daley says. Approximately 2 percent of U.S. cows are currently milked using robots (in rotary or box style configurations) estimates Daley. He predicts in the next four to seven years 30-40 percent of cows could be milked robotically. Internationally the first DairyProQ were installed in Germany and began operating in 2014. The first GEA robotic rotaries in North America started milking cows in British Columbia, Canada on two farms and have been operational since 2016. The robotic rotaries are available with 28-80 stalls and can milk up to 400 cows per hour.